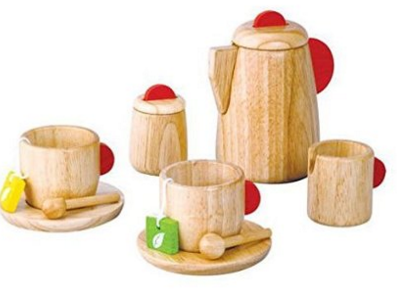 Plan Toy Tea Set(Solid Wood Version) Just $14.50 Down From $29! You are here: Home / Great Deals / Amazon Deals / Plan Toy Tea Set(Solid Wood Version) Just $14.50 Down From $29! There’s only so many days left till Christmas! This Plan Toy Tea Set(Solid Wood Version) is just $14.50 down from $29 on Amazon! Get yours now while it lasts!